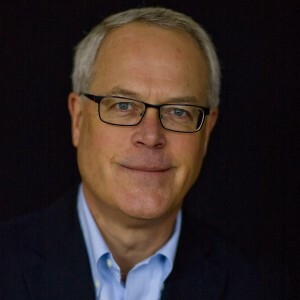 Terry Schmidt, PMP, MBA. 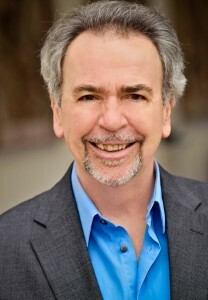 Terry is the author of “Strategic Project Management Made Simple” and consultant to Fortune 500 companies. From NASA engineering intern to consulting with Disney, Apple and eBay, Terry Schmidt has wide ranging project management experience. In this interview, Terry shares his knowledge and experience in project management with a focus on project management. In addition to his impressive client list, Terry holds a BS in Engineering from the University of Washington and a MBA from Harvard Business School. Terry earned the Project Management Professional (PMP) certification AND also holds the Strategic Management Professional designation. 1. How did you get into project management? My interest for project management began in high school when my student club volunteered to cook breakfast on opening day of fishing season. The 4 a.m. breakfast started out badly as our disorganized volunteers dished out burned hotcakes and runny eggs to a growing line of hungry fishermen. I stepped in and clarified the deliverables (plates of edible food), then managed the people and processes without knowing what PM was all about. Soon the fishermen were smiling and I was hooked on project management. During college I was an aerospace engineering intern at NASA working on the Saturn-Apollo program moon-landing program. There I buried my nose in the project and program management books. While studying MBA program at Harvard Business School, I focused on strategy execution, which requires effective project management. Then I became a project management consultant helping teams sharpen their strategy and launching critical projects off the ground quickly, which is what I do today. Did you know that executive education programs include project management? Thanks to the work of David Barrett, one of Canada’s leading entrepreneurs in the project management industry, that’s a reality. He created the Master’s Certificate in Project Management at York University, now offered across Canada. He also started Project Times, Project World and other resources for the profession. In this interview, David shares his perspective on the state of project management and how to engage with strategy effectively. Read on to learn about David’s books, his podcast and where he sees opportunities for continued leadership. 1) How did you find your way into the project management world? Early in my career, I had a role at Symantec where I had the responsibility to sell a MS-DOS based scheduling tool. In order to understand the customer’s needs, I started to learn about project management. In the 1990s, I saw a great boom in the demand for project management education and tools. Many in the business world were upset about the very high failure rate for projects and hoped that better tools and training would address the problem. I also played a central role in running project management websites and conferences including Project Times and Project World. The conferences I started in project management and business analysis have now expanded to locations across North America. 2) How did you become involved in project management education at York University? In the mid-1990s, there was great demand for project management education in Canada. Many companies here were sending their staff to the United States to get trained. As soon as I understood this opportunity, I started to look for ways to address it. The inspiration for the project management program for executives at York University came from Executive MBA (EMBAs) programs. These programs are designed around the schedule of busy professionals. I approached several institutions and York had the greatest interest. The first program had twenty two students; the program quickly expanded into other cities across Canada. [Editor’s Note: The Master’s Certification in Project Management, an 18 day program, is currently offered in Toronto, Calgary and Edmonton. For further details on pricing and the program’s faculty members, visit the Centre of Excellence in Project Management). 3) What aspect of the project management field excites you the most? The maturity of project management is exciting to me. We’ve laid the foundation so that means there are opportunities to do more. Once upon a time, the discipline of project management was unknown. Today, many organizations understand the value of project managers. That means we can move forward to deliver even better project results. I’m also excited by the opportunity presented by retiring project managers. That’s why I started the PM People website. It connects experienced project managers with volunteer opportunities. Does your organization emphasize the importance of lessons learned? What about best practices? Many organizations pay lip service to learning from the past. Aside from occasional references to past project failures, few project management organizations give much thought to learning about the past. Today’s featured guest, Paul Bruno, shows that project managers can learn lessons from the past. Paul is a kindred spirit who understands the importance of history to understanding the world and becoming better at our work. 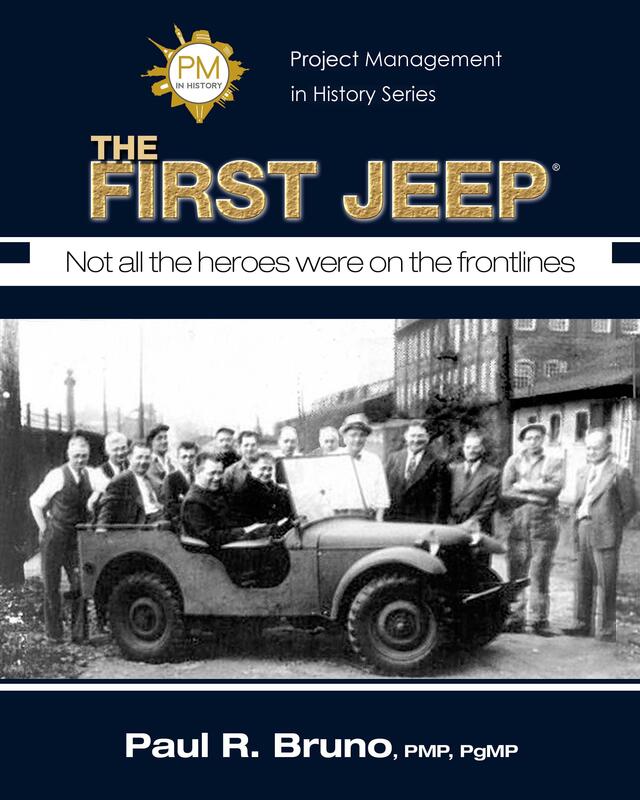 In this interview, we cover Paul’s experience, learn about his new book “The First Jeep” and find project management lessons from history. Strategic project management bridges the gap between the lofty ambitions of strategists and staff that do the work. Strategy without projects is just another document collecting dust. Projects without strategic importance quickly lose their appeal. When you’re disconnected from strategy, the daily grind is tough. You lurch from one crisis to another. It’s the old curse of the corporate firefighter. From time to time, we all need to fight fires. But if that’s all you do, you may eventually run out of buildings. To continue the metaphor, a strategic approach compels you to prevent fires rather than simply fighting them as they emerge. 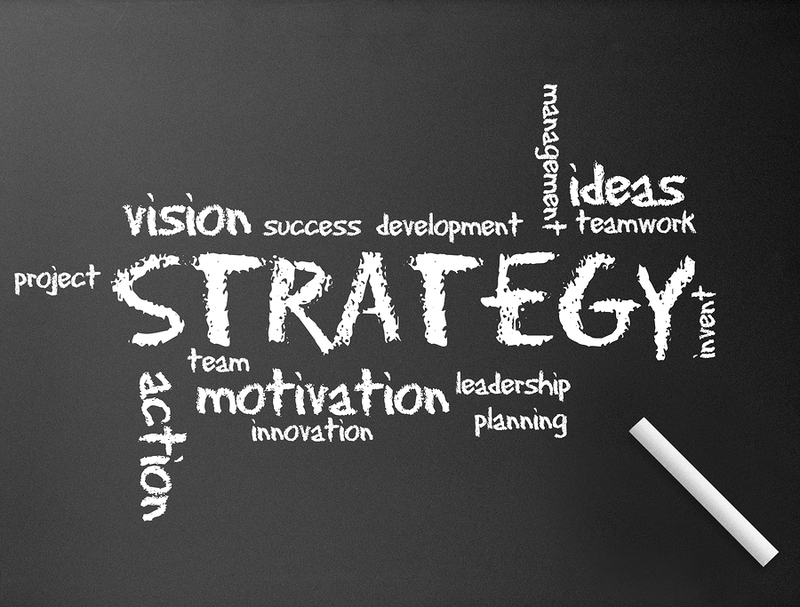 Let’s find out more about how strategy makes a difference. Strategy therefore requires making explicit choices – to do some things and not others – and building a business around those choices. 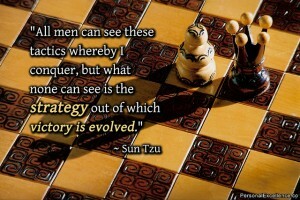 In short, strategy is choice. 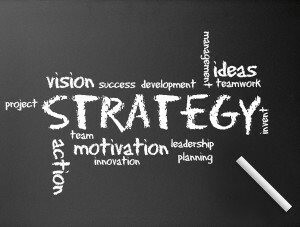 More specifically, strategy is an integrated series of choices that uniquely positions the firm in its industry so as to create sustainable advantage and superior value relative to the competition. Playing To Win shows how well P&G’s strategic choices significantly improved the company’s results. According to the authors, P&G doubled its sales (and quadrupled its profits) from 2000 to 2009 as a result of strategic choices. In recent years, some competitors have copied P&G’s strategic choices with success. Good project managers understand that no strategy remains valuable forever. What’s Keeping Project Managers From The C-Suite? Look at the top leaders in government, the Fortune 500, and the non-profit world. What patterns do you see? I notice a great deal of lawyers through all levels of government. In the corporate world and non-profit world, sales professionals (called fundraisers in non-profits) are well represented. Often, you will see engineers, accountants (in the CFO role and elsewhere) and other professionals well represented in the executive ranks. When was the last time you saw a project manager promoted to the executive suite? I can’t think of an example. You might think that executive positions are only for those who want outsized pay and perks. We need project managers in the executive ranks to make contributions and increase results. Disciplined project management and strategy is a key way to respond to our changing world. So, what explains the lack of project managers in the C Suite? Do you remember learning about the triple constraint when you studied project management? It is one of the profession’s basic concepts. This conceptual tool makes it possible to quickly measure the health of a project. The utility of the triple constraint is undeniable. Like any tool, it has limits.